(Bloomberg) -- France and Italy, already tussling over everything from immigration to economics, have added sunglasses to their list of grievances. When Ray-Ban owner Luxottica and French prescription lens-maker Essilor completed a $53 billion merger last October, the deal seemed to clear the way for the Italian company’s 83-year-old founder Leonardo Del Vecchio to hand over management duties and start transferring his $20 billion fortune to heirs. That path has become dangerously rocky for EssilorLuxottica SA. Shares in the world’s largest eyewear company have slumped 22 percent since the merger, including a 5.8 percent drop on Thursday, as Del Vecchio accuses Essilor leaders of violating terms of their agreement on corporate governance. Del Vecchio, the merged company’s largest shareholder and executive chairman, is locked in a leadership dispute with Essilor’s Hubert Sagnieres, vice chairman of the combined company. 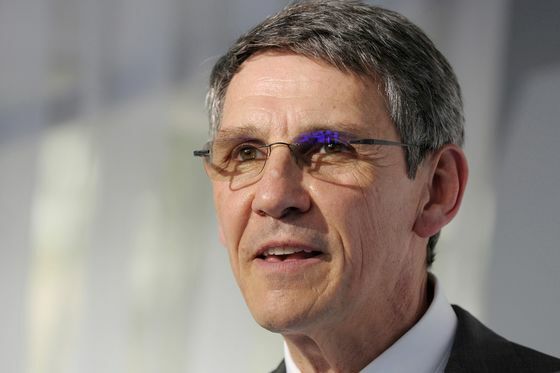 That came after Del Vecchio told the French newspaper Le Figaro that Sagnieres, a longtime Essilor executive who is 63, had failed to consult him on decisions such as filling key management posts. “He has acted as if Essilor bought Luxottica,” Del Vecchio said. The conflict is the latest in a growing list of French-Italian dustups. The populist government in Rome has been feuding with French President Emmanuel Macron over the handling of migrants as well as economic and industrial policy, while Telecom Italia SpA and its major French shareholder Vivendi SA are battling over corporate governance. Other clashes have erupted over an Alpine rail tunnel and shipyards, while French takeovers of Italian luxury brands have fueled resentment. As the EssilorLuxottica dispute flares, Del Vecchio’s personal fortune has slumped from $23.5 billion at the time of the merger. Anticipated financial benefits of the deal are “all but discarded,” Bloomberg Intelligence analysts Maxime Boucher and Deborah Aitken wrote in a note to clients. A smooth transition may never have been in the cards. Del Vecchio grew up in an orphanage and was a metal worker before founding Luxottica in 1961. He transformed the eyeglass business into a purveyor of luxury, as he acquired premium brands and signed deals to make frames for fashion houses such as Armani and Chanel. One of Del Vecchio’s smartest moves was the acquisition of U.S. Shoe Corp. for $1.4 billion in 1995. He didn’t care about footwear -- the U.S company owned a chain of eyeglass retailers, LensCrafters. It’s now part of a global network of more than 7,000 retail outlets that also includes Pearle Vision and Sunglass Hut. In Agordo, a town in the Dolomite mountains where Luxottica is headquartered, Del Vecchio looms large. He founded an eyeglass museum there and puts on an annual Christmas party for thousands of people. At the Italian company, Del Vecchio retained tight control and clashed repeatedly with hired managers. Three top executives left within a 15-month period from late 2014 to January 2016. Del Vecchio has six children but has said he didn’t want any of them to take over the company. Sagnieres’ resume is starkly different. He’s a veteran manager who earned an MBA before joining Essilor in 1989. He rose through the ranks, including stints in the U.S. and Canada, before becoming CEO in 2012. And while Luxottica prospered through marketing sizzle, Essilor’s growth was fueled more by its technical prowess in lens-making. The current conflict revolves around the choice of a chief executive officer to lead the company. Del Vecchio has said in the past that he wants the job to go to Francesco Milleri, a former Luxottica deputy, although he told Le Figaro that he hadn’t formally proposed the executive for the role. Del Vecchio also says Sagnieres ignored his suggestions to achieve cost savings. “He stood up and turned his back on me,” Del Vecchio told Le Figaro. 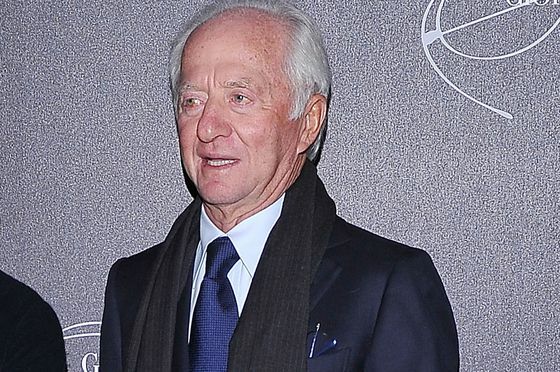 Sagnieres accused Del Vecchio of putting his pride ahead of EssilorLuxottica’s well-being. “This approach, which is contrary to the company’s social interest, is detrimental to the company and to all its shareholders,” he said.